Tonight’s the night: Aelita is DJ-ing the opening set for the Subdigitals concert! While she struggles with her stage fright, Odd feverishly tries to find an extra ticket that he’d promised to yet another girl that he has set out to impress. The time comes… But Xana crashes the concert and kidnaps the new DJ. The long-awaited day has arrived. The Subdigitals concert will take place. The concert is an important event for our heroes as Aelita will be the opening act as a DJ! Aelita, like the rest of Kadic, is in turmoil. Kadic because the ticket trade is in full swing and each person has their…more or less legal supplier. The principal for Sissi, Aelita for the heroes, and Hiroki is selling them on the black market. Aelita is only troubled by the concert. She realises that playing in front of such a large audience isn’t the same as mixing recreationally in front of a smaller group. She tries to seek comfort with Jeremy. Unfortunately, the programmer is absorbed in upgrading the Replika detection program! He tries to make Aelita understand that he won’t be at the concert, rather staying in his room to work on his calculations. Aelita is hurt by his indifference in light of her apprehension. She leaves his room angry, still giving him his ticket, in case he’s interested. Hiroki proposes a price he can’t afford… He then turns to Sissi: the pest has gotten tickets from her father. Nonetheless, she doesn’t accept to give Odd a ticket unless he makes Ulrich go to the concert with her and not Yumi. Odd accepts, but arriving in front of Ulrich and Yumi, he deems it wise to tackle the problem once the Japanese girl isn’t around! That afternoon, Aelita is in her dressing room. Jeremy in front of his computer. Milly and Tamiya come to try and interview her, but are sent away. Odd, Ulrich and Yumi then come to wish her good luck. They lead her to believe that Jeremy is in the room, hoping that the brainiac won’t show up too late. Then they leave Aelita to do her make-up! Back at the foyer, the heroes are in a jovial mood. Miss Sissi quickly bursts their bubble, demanding Odd to explain why Yumi is with Ulrich! Annoyed, she takes her ticket back. Odd is dumped by Kelly, who he lied to by saying that he spent his last cent on buying her a ticket! Plus, Yumi and Ulrich mock him for his terrible bargain! The atmosphere is particularly party-like, and it’s exactly at this moment that XANA rains on the parade by deciding to attack. 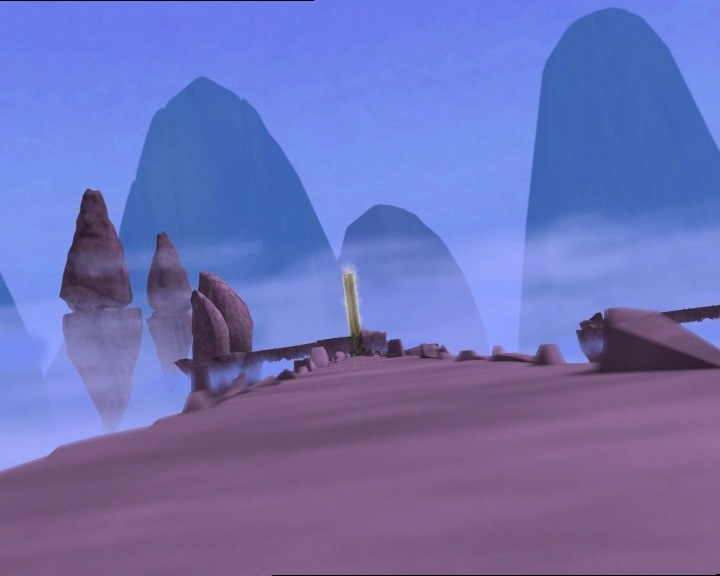 A tower is activated in the Mountain Sector. Not long before her stage call, Aelita discovers that the Subdigitals’ manager, Sophie, has been XANAfied. She knocks the DJ out and calls Chris to tell him that Aelita has fallen ill. The Subdigitals then go on stage immediately. 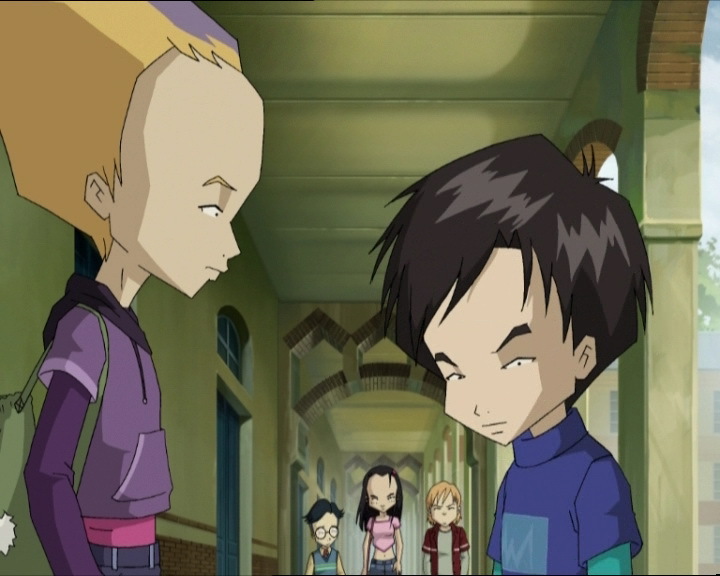 Ulrich, Yumi and Odd are taken aback by the absence of the opening act: Aelita. They’re soon contacted by Jeremy, who noticed the activated tower! The trio immediately understands what XANA has done! Heading backstage, they discover Sophie carrying Aelita. They want to follow her, but Milly and Tamiya appear, also XANAfied! Ulrich orders Odd and Yumi to go on ahead and holds the XANAfied girls back, covering them with a tarp! Jeremy arrives first to the factory. Yumi calls to warn him that a XANAfied person is going to arrive and Jeremy decides to stay in front of the lift to hold them back. However, when he jumps on Sophie, she blocks him and knocks him out against a pole. Then she goes down to the scanner room and sends Aelita to the Mountain Sector. Virtualised, Aelita wakes up. She’s soon surrounded by a Kankrelat and a Blok. To escape them, she uses her wings and flees through the air! 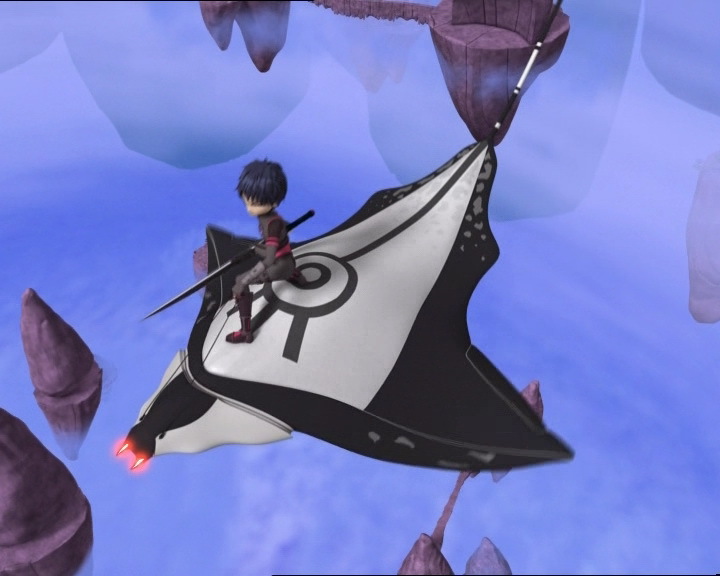 A Manta then appears and causes her to fall with a precise laser shot… Aelita is completely blocked and the monsters approach, threatening to throw her into the Digital Sea. Not noticing Jeremy not far from the lift, Yumi and Odd move on to the lab. There, at the terminal, after a brilliant pincer attack they knock Sophie out, with a violent kick to her head. Jeremy joins them. He ties Sophie up and sends them to Lyoko. In the city, while the Subdigitals are igniting the dance floor, Ulrich is fighting valiantly against the two journalists. But his hits aren’t having much effect on them as Yumi’s did, and the girls always get back up again and use their favourite attack: electric shock. Ulrich protects himself as best he can behind a wooden crate. 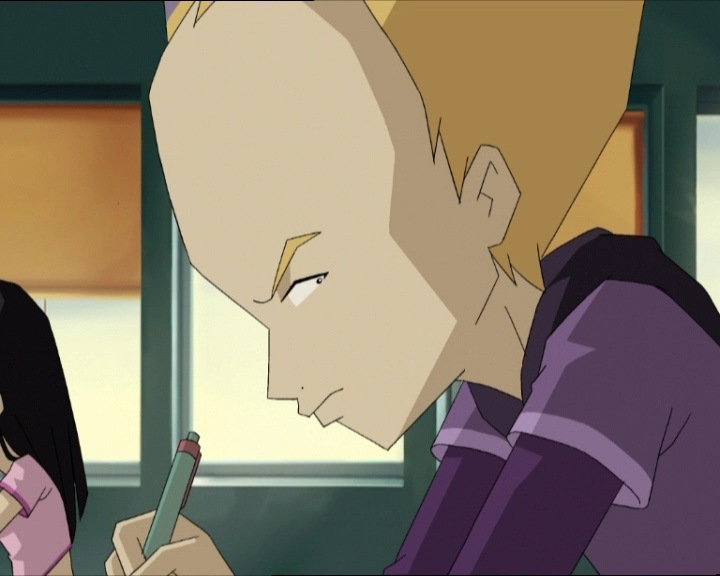 On Lyoko, a grand battle is started. 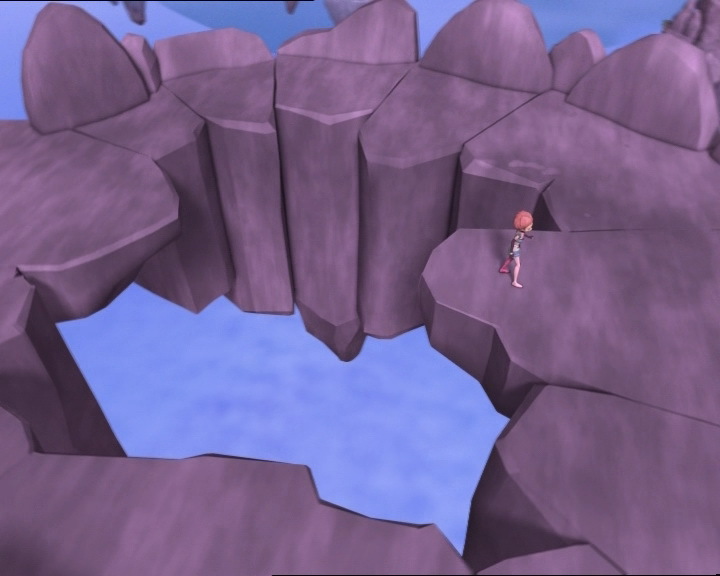 Aelita manages to escape by jumping over the Kankrelat! 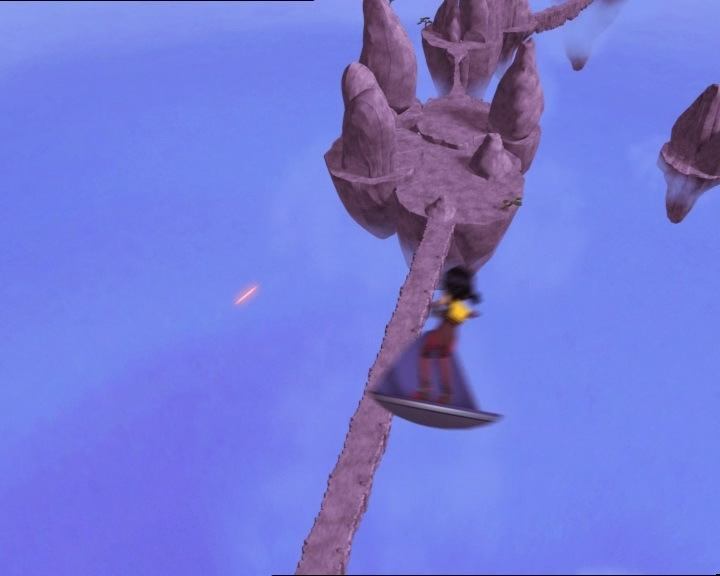 But the two grounded monsters set off on her heels and the Manta blocks her path, flying around the mountain trails! To worsen the situation, William appears on his Manta! 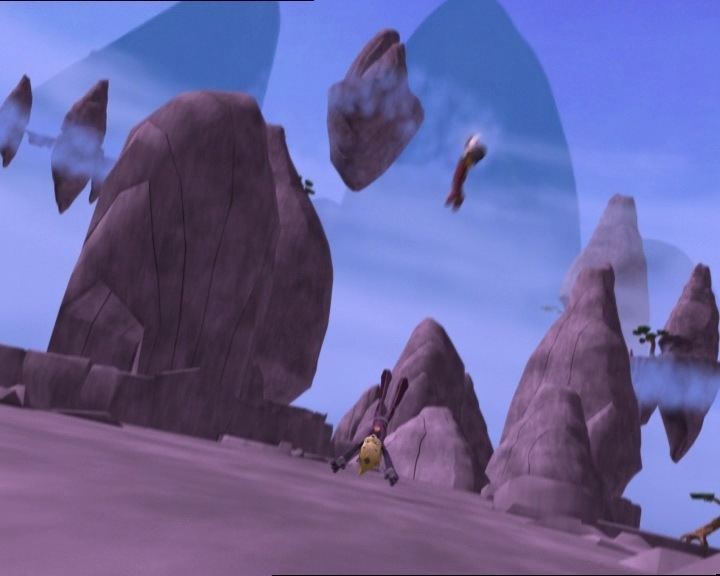 This is also the moment that Odd and Yumi arrive to help Aelita! Far away from her, they need their vehicles, and Jeremy sends them. Fleeing Kankrelats that arrived to welcome them, they go to challenge William in an aerial battle! But the Mantas seem more alive today! Despite numerous attempts, no fan manages to touch William’s Manta, and the one chasing Aelita also dodges all the energy fields thrown at it! Although, a laser dodged by Aelita destroys a Kankrelat! 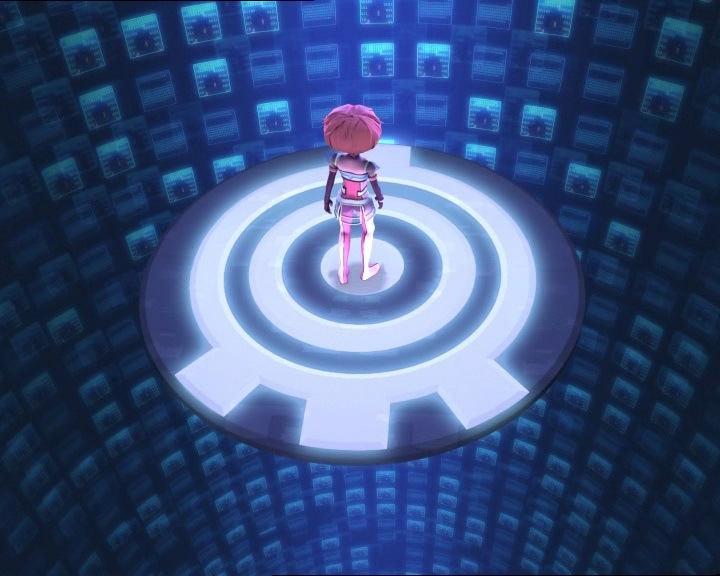 Aelita completes finishes the job by energy-field-ing the Blok! All that remains to worry the heroine is the Manta, and it’s already shown what it can do! In the lab, the situation worsens: Sophie wakes up, breaks her ties and throws Jeremy from the commands. Then she devirtualises the vehicles! Cut off in the middle of a fight, the heroes barely have time to land before their vehicles evaporate! Not giving up, they still target William! 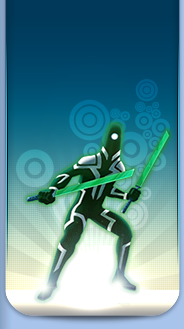 Following a new combined attack by the Lyoko Warriors, William is discarded from his ride, hit by laser arrows and falling from his Manta! Seizing the opportunity, he cuts Yumi in two! 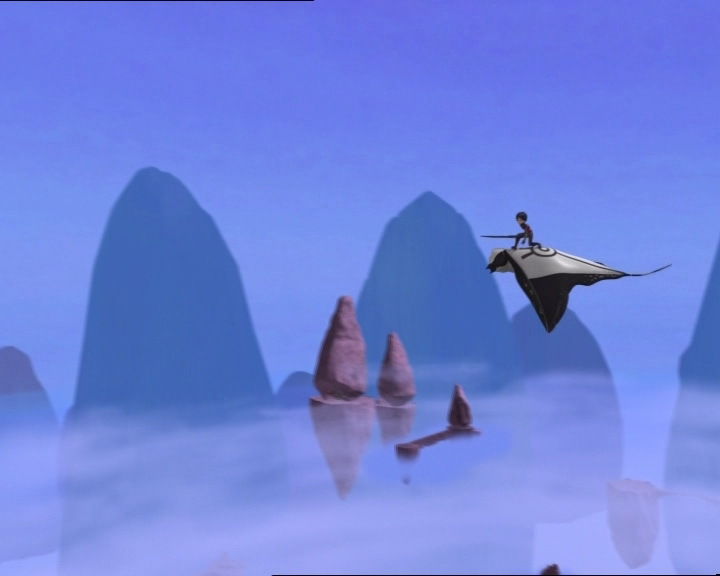 But the Lyoko Warrior calculated her hit and her fans return to take William out of the race! Two Lyoko Warriors and two Mantas remain! The concert is still going down when the Subdigitals start to play Break Away! Ulrich would also like to break away from his two possessed playmates! Thinking quickly, he uses a mirror to send Tamiya’s electric charge back at her and knock her out! Milly doesn’t hesitate for an instant! Reunited with an old habit, Odd clings onto the back of the black Manta! Using his claws to inflict pain on the creature, he manages to steer it fairly well! Odd then interrupts on the back of the black Manta and destroys the blue one before it can force Aelita to fall into the void! The princess uses her wings again and reaches the tower. Its deactivation saves Ulrich from Milly, and especially Jeremy from Sophie! The brainiac launches a Return to the Past! 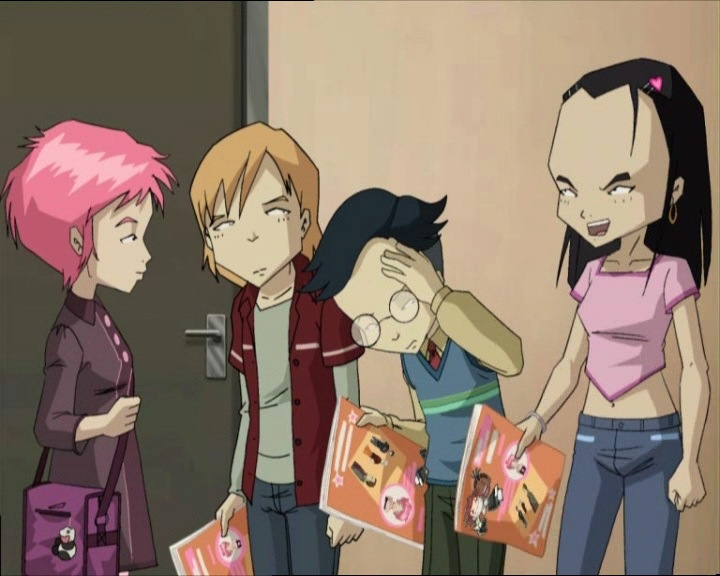 - Attack: XANAfy Milly, Tamiya and the Subdigitals' manager to kidnap Aelita and bring her to Lyoko. - Jeremy created a new Replika localisation program. 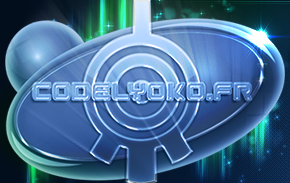 - Only episode in which we hear a Subdigitals song that's not “Break Away”: “Planet Net”. - Only appearance of Kelly, who's Odd's date in this episode. - Third time Yumi devirtualises William. - Ulrich prefers the Subdigitals' old name: the Subsonics! - Aelita likes the Subdigitals' new name. - Ben has Nico's guitar when Nico sings into the microphone. - The marks under Nicolas' eyes disappear at one point. - The door to Jeremy's room often changes colour (brown, dark blue, dark grey). - During Ms Hertz' class, behing Ulrich and Odd, Emilie and Naomi change places in one shot. - The yellow button to call the lift is absent when XANA-Sophie arrives at the factory and before Jeremy jumps on her. - The French title is lyrics from the Subdigitals song “Break Away” (“S'envoler” in French): “Being sensible is just not sensible”. - First mention of a band: AeroSmooth. - First time a Manta accidentally destroys a Kankrelat. - Fourth time Odd rides a Manta. - Aelita was noticed by the Subdigitals at Kadic during episode 68 “Opening Act”. She won the opportunity to be the opening act for the concert in episode 72 “Crash Course”. She mixes that same music as in episode 33 “Final Mix” at the dance and at the choosing of a DJ in episode 72 “Crash Course”. Ms Hertz: Odd, would you repeat what I just said? What exactly is an electrical charge? Odd: Uh it’s the…the amount you have to pay every month for electricity! Ms Hertz: Not exactly an enlightening answer. Ulrich: Subdigitals…I liked them better as the Subsonics! Odd: I don’t believe this, I’m jinxed! The last ticket slipped right under my nose just now! 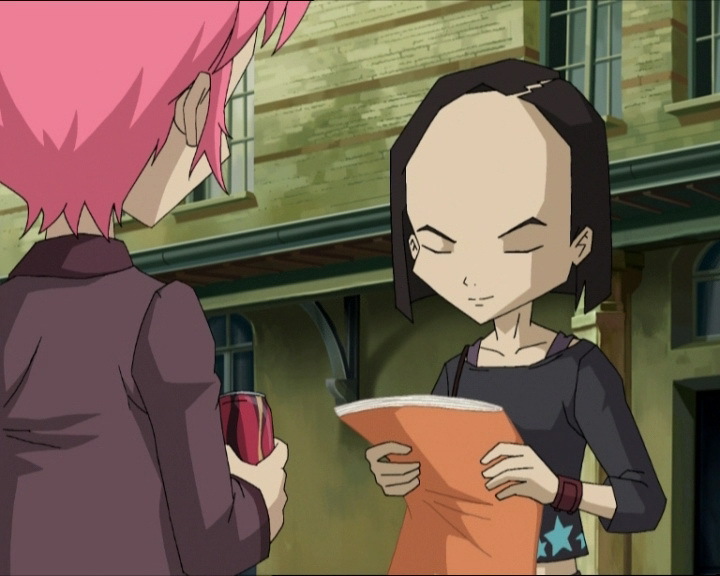 Yumi: But…Aelita’s got a free ticket for you! Ulrich: Yeah, but that’s not enough for Odd’s little harem! Yumi: Try my brother. The little weasel must have some sort of connection! Odd: Hiroki! You’re right, I hadn’t thought of him! Yumi, you’re a genius! Ulrich, you really oughta go out with her! Ulrich: Hey! Uh…you and I are just good friends, isn’t that right? Sissi (angry): Everyone knows that I should’ve been picked to play the opening act for the concert, and you’re bound to make a total fool of yourself tonight! Huh! Can’t wait to see that! Nicolas (acting stupid): And you will, Sissi! In fact, you’re gonna have plenty of time to watch from the audience, ‘cause it’s Aelita who’s gonna be on stage and not you! Odd: Lateral crossing pattern and pincer strategy. Yumi: What’s that in English? Yumi (to Odd, about William): Ready for the tall, dark bad guy? Ulrich (kicking XANA-Milly and -Tamiya to the ground): Awfully sorry ladies, but no interviews! Yumi: Odd, lateral flight pattern and pincer strategy! Odd: Are you speaking English? Yumi: Odd, trampoline spinning-top action! William: It’s game over for you, Yumi! Yumi: For you too, handsome! Aelita: Maybe it was insane to wanna do this concert. Jeremy: Aelita, sometimes the sanest thing is to be insane!